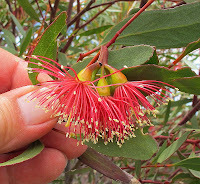 This small mallee eucalypt is very similar to Eucalyptus eremophila subsp. 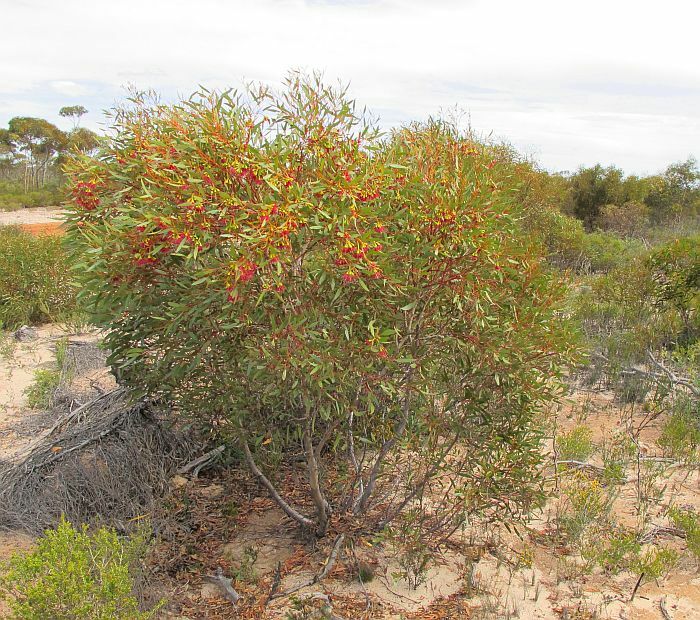 eremophila (see here), and was once lumped in with that species as I also did, until I had reason to view my complete collection of specimens. 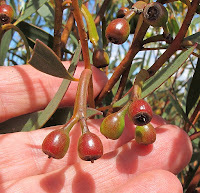 It then became apparent that I had two species, one with much smaller buds and fruits (difficult to appreciate from photographs), which turned out to be Eucalyptus depauperata. The total bud length of Eucalyptus depauperata is less than 2.5 cm (1”), whilst those of E. eremophila are generally well over that size. 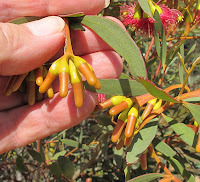 As with Eucalyptus eremophila, the flowers of this species are yellow or red, but to me are more intense and also like the former the yellow flowered plants are much more common. However I did see a number of red ones when I kept an eye open for them and consider these plants although still rare, to be much less so than E. eremophila. 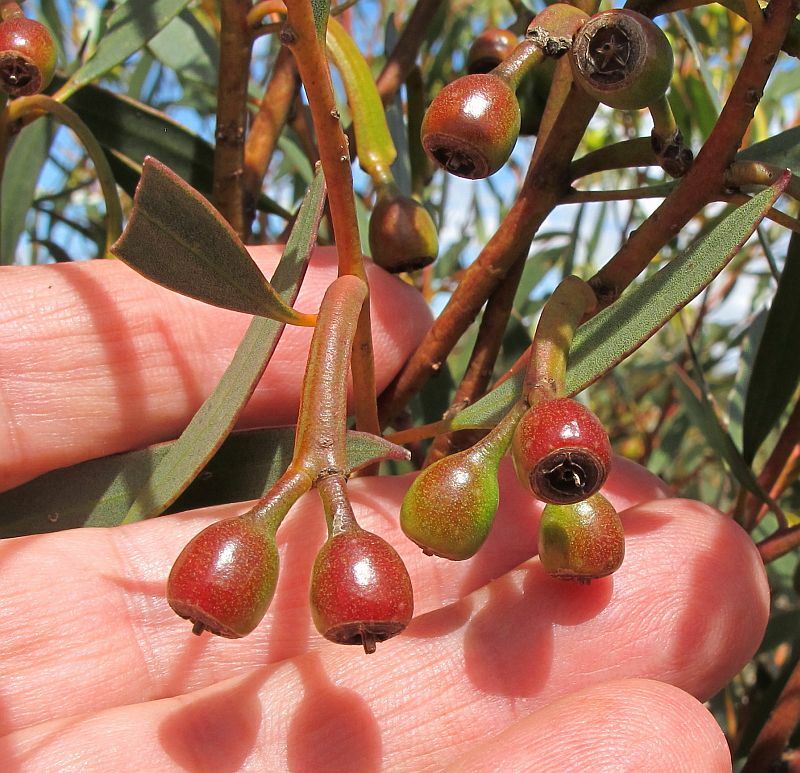 Eucalyptus depauperata has a much smaller distribution than E. eremophila, occurring only in an inland mallee region from Lake King to the Peak Charles region, where it commonly grows in sandy soils especially over gravel. 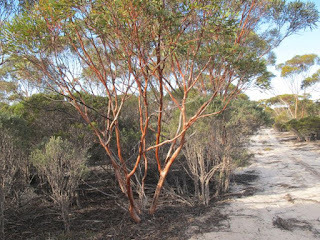 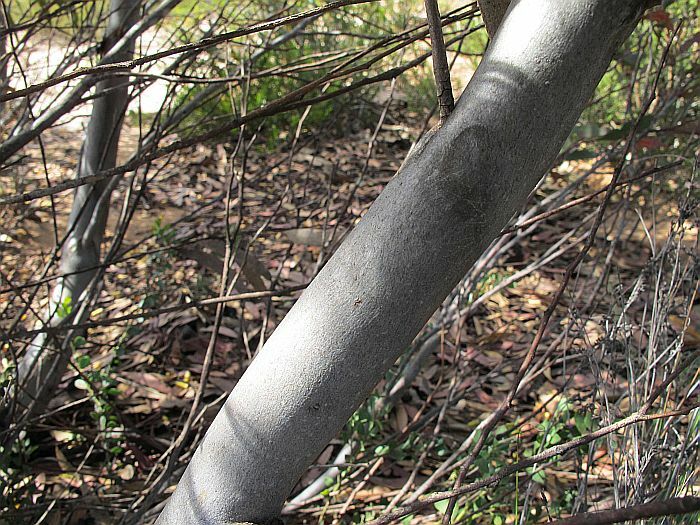 Throughout this region Eucalyptus eremophila is also common, so they are easily confused. 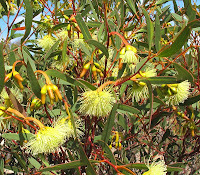 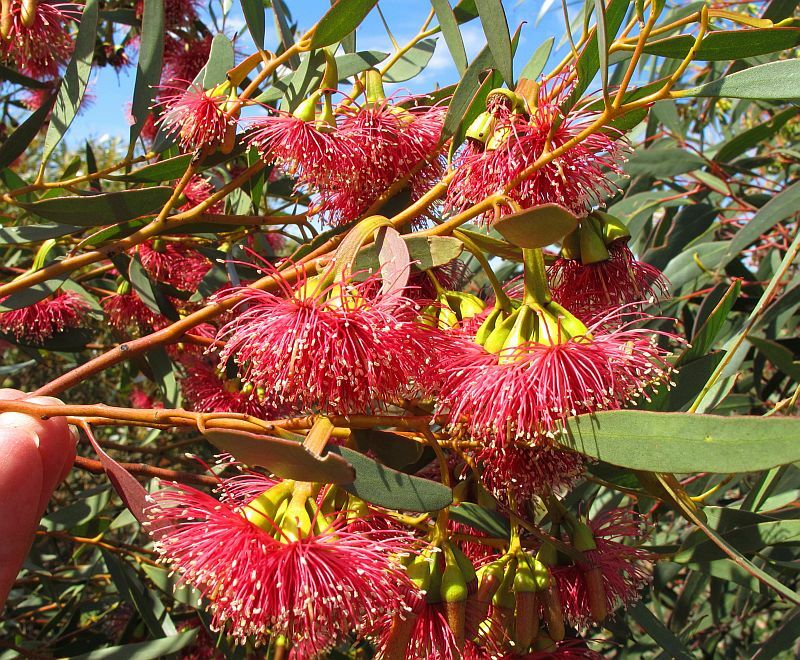 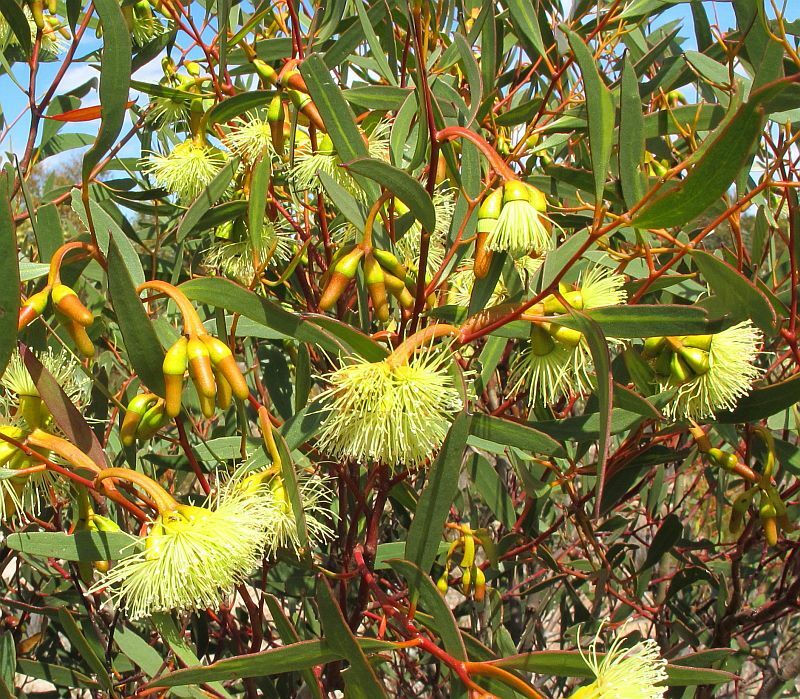 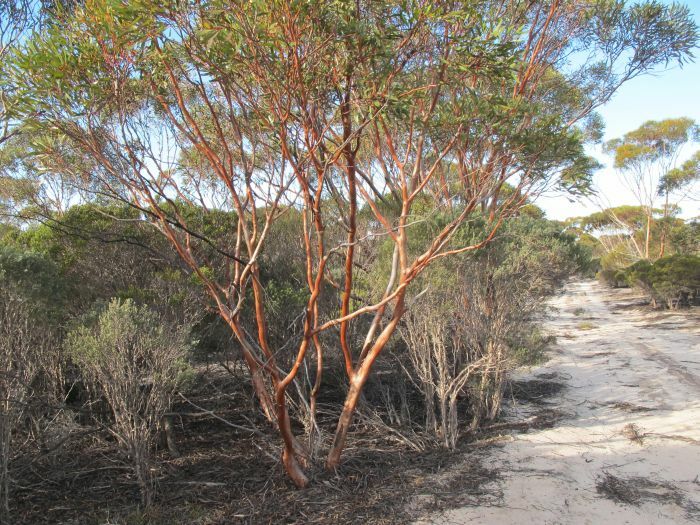 Besides the smaller buds and fruits, Eucalyptus depauperata is also a shorter growing mallee, seldom exceeding 4 metres (12’) in height and commonly around 2 metres when it tends to flower for the first time. 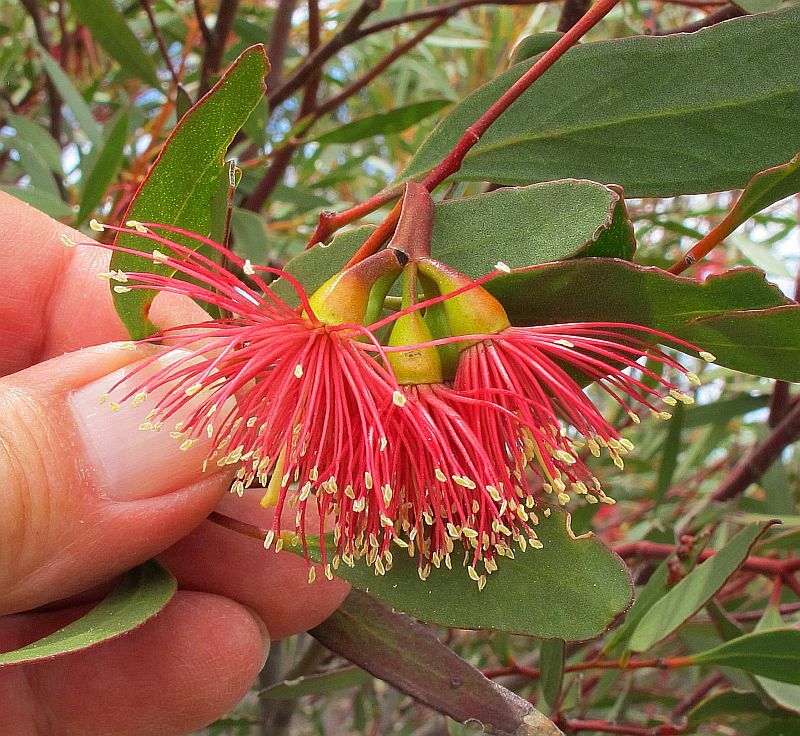 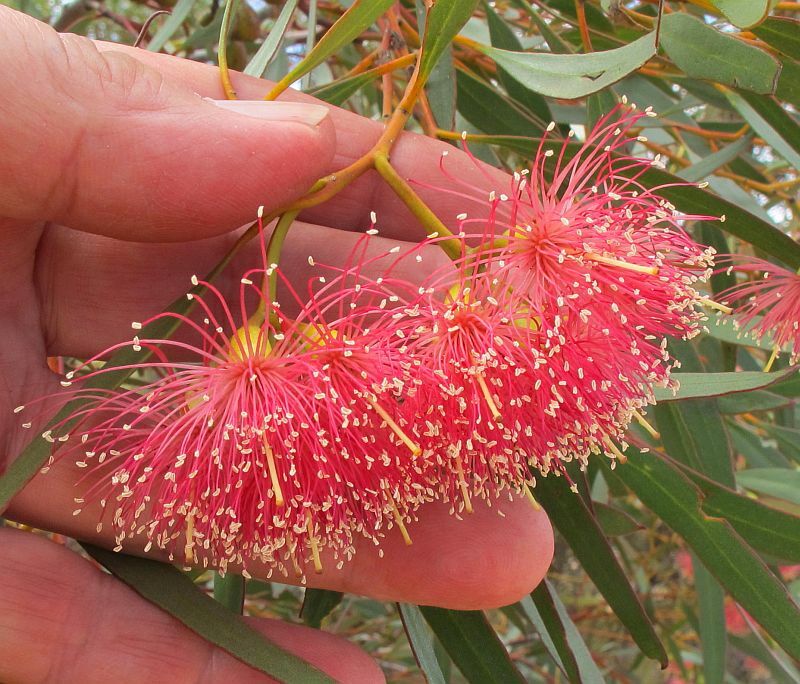 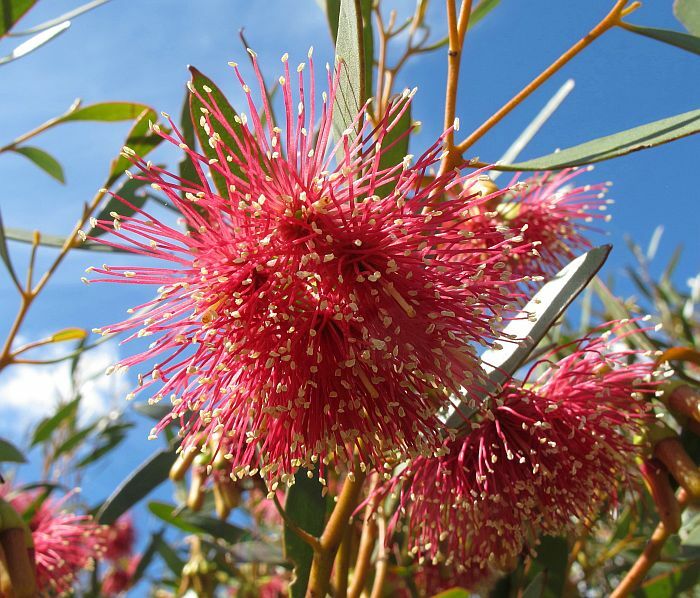 The WA Herbarium FloraBase has this eucalypt flowering in September, whilst in the Field Guide to Eucalypts Vol.2 by Brooker and Kleinig it is listed from December to February. 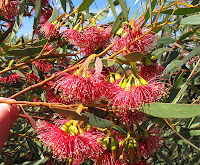 From my observations Late November to Late January was the situation, but these times will vary depending on local weather conditions. 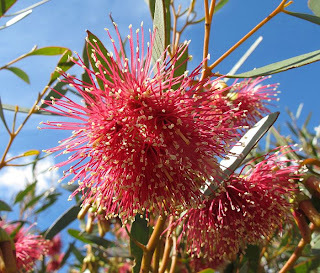 The genus Eucalyptus is part of the large and very diverse Myrtaceae family.